Alfred Hitchcock might as well have used Sagrada Familia for his Vertigo movie. 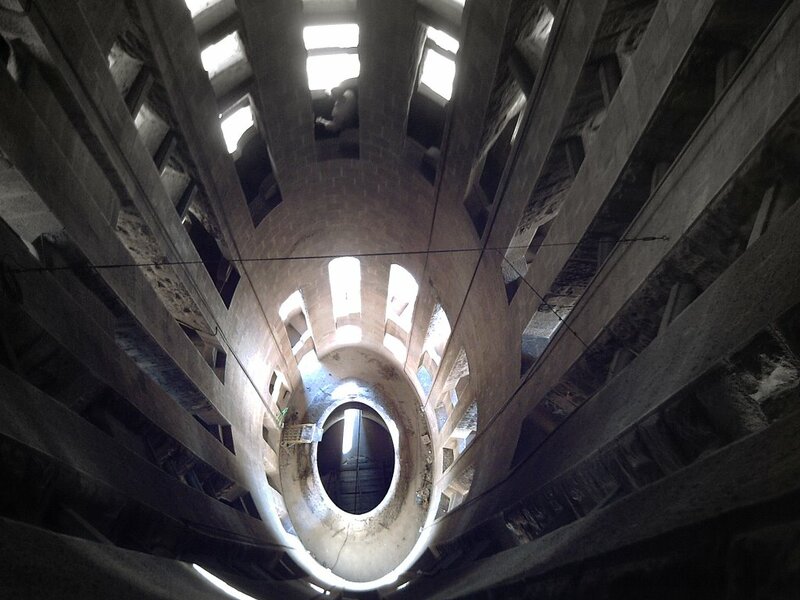 This is the core of the spire as seen from the shaft of the lift that saves you the painstaking effort of climbing the extremely narrow spiral staircase which you can see at the far end. At the moment the price for this compensation is to stand in line for a while and pay 2 euros for the elevator. The 2 Euros to go up the elevator was well worth it. Feeling the stone and the view... It was hours before I descended. No trip to Barcelona is complete without a visit. Merci. Très gentil. Il est difficil aussi choisir des belle mots. >Yes you are right Edwin. Today i hung around Las Ramblas but I was unabled to find the bar you said. I did not carry the address with me. They are not open during the day I guess. We'll see if I manage to find it.